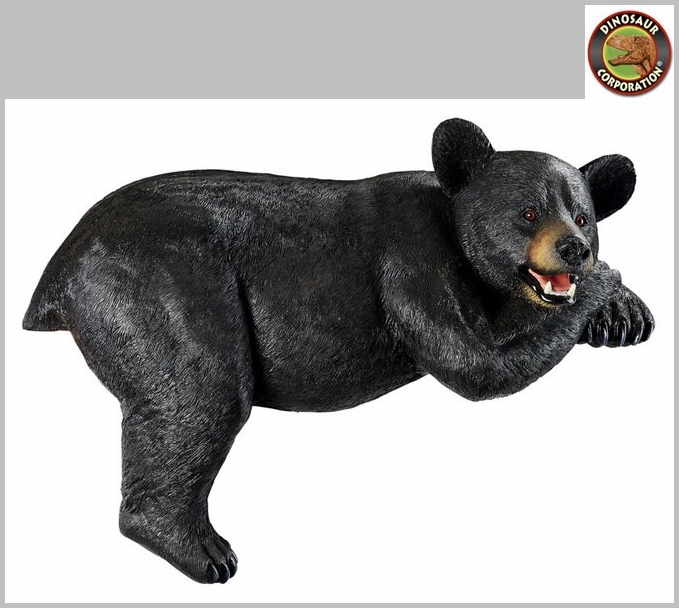 Lemont the Lovable Lounger Black Bear Statue Garden Sculpture. 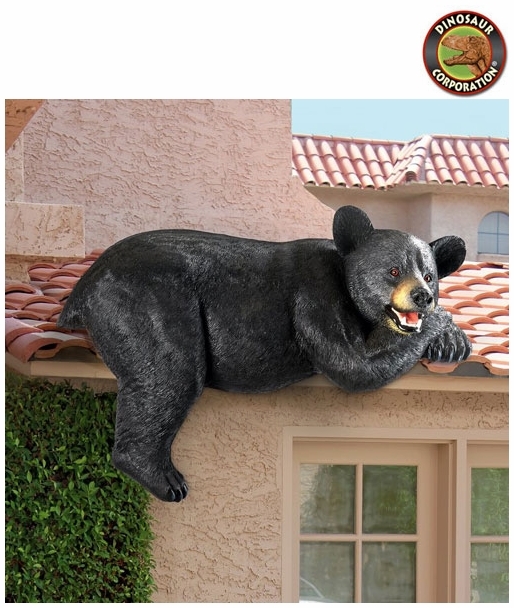 Realistic, near life-size predator proudly perched and staring down from your roof or garden wall! * Easily installed with included roof mounting hardware. * Size: 34" W x 21� "D x 24 "H.
* Flat surface: 34" W x 14�" D.
* Leg hangs 12" from flat surface.